I first heard of Cairo on some of the early Magna Carta tribute compilations. They performed Speak to Me/Breathe on The Moon Revisited (a tribute to Pink Floyd's Dark Side of the Moon album), Squonk on Supper's Ready (a tribute to Genesis), and South Side of the Sky on Tales from Yesterday (a tribute to Yes). They didn't really add anything to these tracks. They were straight-ahead, note-for-note performances, but nicely done. Magna Carta of course included inserts in all their CDs and I noticed that Cairo had made its very own album. So I took a chance and discovered a very talented band. 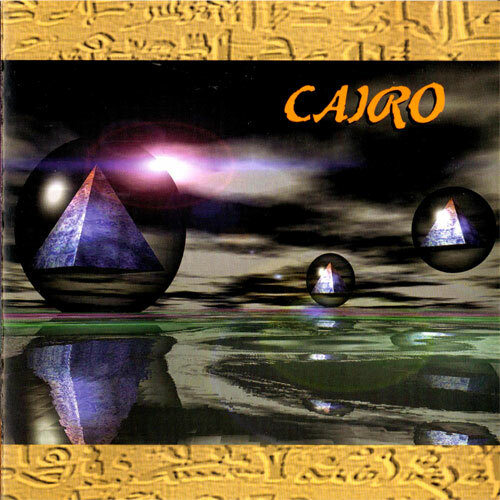 Cairo's self-titled debut album is one of the better debuts I've heard in the last 30 years or so. Other than a short two-minute instrumental intro, the songs on this album range from 8 1/2 to 22 1/2 minutes long. Plenty of room for instrumental escapades, and Cairo surely delivers in that respect. Although I'm not bothered by this much, for some of you it will be a downer to know that they wear their influences on their sleeves. Many reviewers over the years attribute Cairo as an ELP clone. Yes, the influences are strong there, but they're only from the keyboard playing of Mark Robertson who is clearly from the Emerson school of pounding on the ivories. The rest of the band sounds nothing like ELP as far as I can tell. There are times when they synch-in to the keyboard lines, but for the most part, they sound like a mix of the more accessible sides of Genesis and Yes. Guitarist Alec Fuhrman occasionally soars in with Howe-like precision and at times shows Hackett-like influences, but pretty much has his own thing going. For me, Cairo sounds sort of like what Asia might have sounded like if they had made 10-minute long prog songs in the early 1980s. Maybe in a parallel universe this really happened? Bret Douglas is the vocalist and I don't know who to compare him with. He is more high-pitched (not as high as Jon Anderson) and tends to use the soaring effect often. I could see his voice getting on some listener's nerves, but I found it to grow on me and Cairo wouldn't be the same without him. Every song on here is great to my ears, even though at times some of them are more accessible. The strongest Emerson influences in Robertson's keyboard work is on the 22 1/2 minute long Ruins at Avalon's Gate. Of all the songs, this one may have gone on for too long. His keyboard performance is admirable though. The one downside I have for this album is the production. It really feels like it could have been recorded and mixed better. The sound is more muddier than crisp and gives it that dated feel. It sounds like it was recorded in the mid-1970s instead of 1994. Maybe that's what they wanted? Still, the music is great. An excellent debut and one of the better symphonic prog bands from the 1990s. Definitely a nice gem from a mostly unheard of band, but not anywhere near being a masterpiece. Four stars feels like a nice fit for this.